Trading systems include trading platforms or trading applications. While trading platforms include the software through which investors and traders can open, close, and manage market positions, trading applications are usually multi-product and cater to multi user options and consist of end-to-end functionality that processes numerous volumes of traffic at extreme speeds. The key to creating and managing effective trading systems is to ensure high volume and effectively low latency throughput. With the activity of traders and money managers around the invention of new strategies, and new methods of electronic price discovery, this paves way for continuous increase in the volume of trades and management of huge amounts of market data. This leads to a huge network traffic from various orders being placed and definitely creates an exponential growth rate for market data. Typically, trading systems employ a set of complex rules within their matching engines in an attempt to perfectly match and handle buying and selling options on top of handling cancel and replace requests. Recent innovations such as automated trading, need for 24 hrs continuous trading, market fragmentation, and changes in underlying technologies such as algorithmic trading, have further added to the trading system complexity. Moreover, as business opportunities continue to change in today’s rapidly evolving marketplace, the result is an increase in data flow and processing loads. In the world of trading, time is literally money. All these various reasons have led to the emergence of the need for testing trading systems and makes testing inevitable for these trading segments. 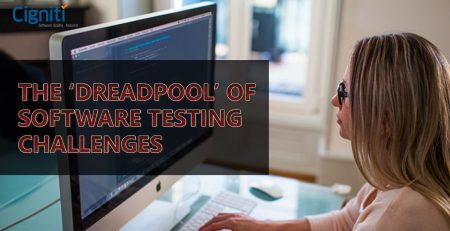 Now, let us see some of the other reasons why testing is needed for trading applications. Why Testing is needed for Trading Systems? As trading systems need to process vast amounts of data in real time, accuracy of data is primarily crucial to avoid huge losses in terms of money and reputation. In addition, stock markets have inherent complexity in terms of business flows and business rules and testing forms a critical role to ensure effective business delivery. Thus, testing plays an important role in the efficient functioning of trading systems. There is a high importance bound around having a well-tested trading application as it will not fail in real time and gives an edge for client’s options and purchases. Let us see some of the challenges involved with trading systems. The major types of testing trading systems include functional, interface, security, and performance testing. These testing types play an important role as they evaluate the speed, functionality, security and overall trading system performance. Testing of the trading applications involves smoke tests and unit test cases need to be created for each functionality. For testing the complexity of multiple, real-time order transactions, a smoke test should be implemented. Regression testing must also be taken up on a continual basis so as to ensure that the existing functionalities are not affected when a new functionality is introduced into the trading system. 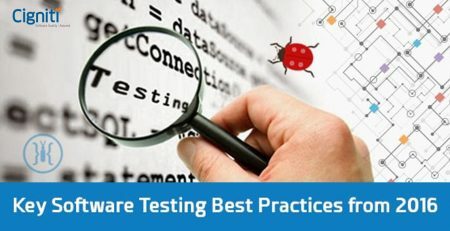 Interface testing is one of the key tests conducted in order to ensure the quality of software products. In trading applications, interface testing focuses on the data accuracy needs of the system and functioning of the interfaces as the test environment should be similar to that of the real time scenario. 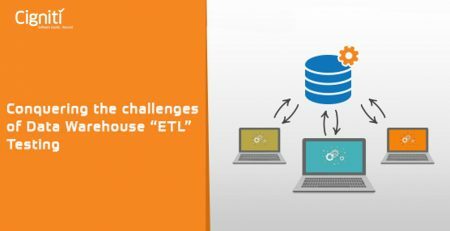 Testing needs to be performed around the network and interfaces as the loss incurred by stock exchanges due to data leakage could be huge. Security testing includes threat analysis and vulnerability analysis and threats are identified through security code reviews. Performance testing involves testing of the main trading application, its subsystems and the interfaces connecting these subsystems. Let us also know about Backtesting that refers to applying a trading system to old data and verify how it behaves to the data during the specified time period. This type of testing evaluates simple ideas while forward performance testing, also known as paper trading, provides traders with another set of out of sample data on which to evaluate the system. It is just a simulation of the actual trading system. Thus, positive results and good performance can be obtained with effective testing performed on trading systems. Cigniti Technologies has a decade of expertise as an independent testing services provider. Contact Cigniti’s team of testing experts to know more about the testing of your trading applications.